Código interno: 425914. Arbol de levas CHEVROLET LACETTI CDX, Año: 2006. No se realizan envíos internacionales en territorio insular. Nous pouvons le vérifier. Código interno: 425913. Arbol de levas CHEVROLET LACETTI CDX, Año: 2006. No se realizan envíos internacionales en territorio insular. Nous pouvons le vérifier. 2.0 D NEW CAMSHAFT Z20 Z20DM. CHEVROLET CAPTIVA CRUZE LACETTI NUBIRA. SUITED FOR CHEVROLET CAPTIVA CRUZE EPICA LACETTI NUBIRA 2.0 D ENGINES. Captiva 2.0 VCDi (2007-2011) 05/08-10/11. Captiva 2.0 VCDi (2007-2011) 06/07-10/11. Nockenwelle NEU für Opel Antara und Chevrolet Captiva 2.0 CDTi. OPEL ANTARA 2.0 CDTI 09.08 93 127 1991 0035-AJB. Kompetenter Service von Tornau Motoren. CHEVROLET LACETTI (J200) 2.0 D 01.07 89 121 1991 8260-ABB. Opel 4805877. CAPTIVA (C100, C140). ANTARA (L07). Tipo de producto : Árbol de levas. Z 20 DM Diesel 1991 93 126 4 Diesel X - X. Z 20 DM Diesel 1991 89 121 4 Diesel X - X. 2.0 CDTi Diesel 1991 93 127 4 Vehículo de todo terreno 03.2007 - X.
CHEVROLET KALOS 2005/03-. KALOS 1.2 B12S1 1150 53 4 Hatchback 2005-. CHEVROLET KALOS Saloon 2005/03-. KALOS Saloon 1.2 F12S3 1150 53 4 Saloon 2005-. CHEVROLET MATIZ (M200, M250) 2005/03-. MATIZ (M200, M250) 0.8 F8CV 796 38 3 Hatchback 2005-. 2.0 CDTI CAMSHAFT. CAMSHAFT x1. If the item is used, we are unable to accept the goods back. AND WE WILL DIRECT. NUMBER BEFORE BUYING. MAINLAND -24 HRS. (incl: NORWAY & SWITZERLAND). Any problem will be resolved regarding our support team. However delays are occasionally inevitable due to unforeseen circumstances. TO FIT THE FOLLOWING VEHICLES 2 YEAR WARRANTY. Must Read Before You Buy! OEM Numbers 55567048 S1, 55567048, 12992410, 12992410 S1. FEBI BILSTEIN Nockenwellensensor 33124. Schadstoffhaltige Batterien sind mit chemischen Symbolen besonders gekennzeichnet. Diese Symbole weisen darauf hin, dass Batterien nicht in den Hausmüll gegeben werden dürfen. CHEVROLET 96325867. CHEVROLET MATIZ (M200, M250) 0.8 Hatchback Petrol 03/2005 on FWD 6 52 38. CHEVROLET MATIZ (M200, M250) 0.8 LPG Hatchback Petrol/Petroleum Gas (LPG) 03/2005 on FWD 6 52 38. CHEVROLET MATIZ (M200, M250) 1.0 Hatchback Petrol 03/2005 12/2010 FWD 8 67 49. Informationen: Sensor, Nockenwellenposition: Anschlussanzahl: 3, Farbe: schwarz, benötigte Stückzahl: 1. Hinweise: Sensor, Nockenwellenposition: Anschlussanzahl: 3, Farbe: schwarz, Gewicht [kg]: 0,03, benötigte Stückzahl: 1. CHEVROLET EPICA (KL1_) 2.0 D Saloon Diesel 01/2007 on FWD 16 150 110. Function Rocker Arm, engine timing. CHEVROLET CRUZE (J300) 2.0 CDI Saloon Diesel 08/2010 on FWD 16 163 120. CHEVROLET CRUZE (J300) 2.0 CDI Saloon Diesel 05/2009 on FWD 16 150 110. OPEL, ANTARA (L07), 2.0 CDTI. OPEL, ANTARA (L07), 2.0 CDTI 4x4. OPEL 4805877 / OPEL 96440157. CHEVROLET, CAPTIVA (C100, C140), 2.0 D. CHEVROLET, CAPTIVA (C100, C140), 2.0 D 4WD. 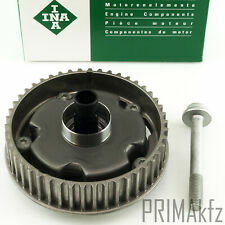 CHEVROLET, EPICA (KL1_), 2.0 D.
Chevrolet Vauxhall Opel entrada del molde del árbol de levas 563 12 6057 XER un XEP XER Z 12 14. Reference OE/OEM Number 563 6057. Nuestra fábrica ha sido desarrollo y producción de árboles de levas durante 40 años y es ahora un fabricante establecido del OE mundial. CHEVROLET AVEO 1.4 Camshaft Exhaust Side 2008 on A14XER AE. CHEVROLET AVEO Hatchback (T300) 1.2 Hatchback Petrol 03/2011 on FWD 16 86 63. Function Camshaft. CHEVROLET AVEO Hatchback (T300) 1.2 LPG Hatchback Petrol/Petroleum Gas (LPG) 11/2012 on FWD 16 86 63. FIAT CROMA (194_) 1.8 16V Kombi 12.05 103 140 1796 benötigte Stückzahl 2 4136-ACM. OPEL ZAFIRA B Van (A05) 1.8 Kasten 07.05 103 140 1796 benötigte Stückzahl 2. OPEL ZAFIRA B (A05) 1.8 Großraumlimousine 07.05 103 140 1796 benötigte Stückzahl 2 0035-101. CHEVROLET 96418393. DAEWOO 10456506, 96418393. Function Sensor, camshaft position. 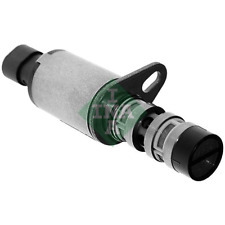 Sensor Type Hall Sensor. CHEVROLET NUBIRA Estate 1.8 Estate Petrol 03/2005 12/2009 FWD 16 122 90. CHEVROLET NUBIRA Saloon 1.8 Saloon Petrol 03/2005 12/2009 FWD 16 122 90. 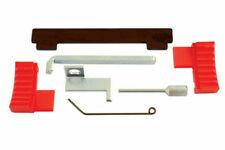 Part Info:Engine timing tool kit for GM engines fitted to Vauxhall/Opel and other vehicles 16v 1.6 and 1.8. Made in Sheffield. Chevrolet Kalos 1.4 16V 69 94 1399 03.2005 ->. Chevrolet Lacetti 1.4 16V 70 95 1399 03.2005 ->. Part Numbers: 55567049, 5636632, 12992409, 5636466. Autovaux was established in 2001 and is recognised as The Number 1 Supplier for Genuine Vauxhall spares and O.E Quality parts for all car manufacturers with Vauxhall trained staff and the most up to date parts software available. CHEVROLET ORLANDO (J309) 2.0 D MPV Diesel 02/2011 on FWD 16 131 96. CHEVROLET ORLANDO (J309) 2.0 D MPV Diesel 02/2011 on FWD 16 163 120. Function Inlet Valve. CHEVROLET CRUZE (J300) 2.0 CDI Saloon Diesel 08/2010 on FWD 16 163 120. C366 FAI CAMSHAFT ajuste ventana trasera CHEVROLET AVEO (T250 T255) 1.4 (F14D4) 04/08-. Manufacturer Part Number C366. Aparte de dos pilotos contratados, el equipo fue afortunado de tener los servicios en forma ocasional, estos drivers como Jimmy Clark, Graham Hill y Jackie Stewart. Adecuado : Salida de. Opel 12578518. Opel 48 14 189. CHEVROLET (SGM). Calidad OE | Fabricante de la ISO/TS 16949. Usos en la Cesta Precio de PC 1. Criterios :Modo de funcionamiento : Electrico-hidráulico. OPEL, ANTARA (L07), 2.0 CDTI. OPEL, ANTARA (L07), 2.0 CDTI 4x4. OPEL 4805877 / VAUXHALL 96440157. CHEVROLET, CAPTIVA (C100, C140), 2.0 D 4WD. CHEVROLET, CRUZE (J300), 2.0 CDI. CHEVROLET, LACETTI (J200), 2.0 D.
CHEVROLET LACETTI J200 2.0D Camshaft 2007 on Z20DM BGA. CHEVROLET LACETTI (J200) 2.0 D Hatchback Diesel 01/2007 on FWD 16 121 89. Function Camshaft. CHEVROLET NUBIRA Estate 2.0 D Estate Diesel 01/2007 12/2011 FWD 16 121 89. CHEVROLET ORLANDO (J309) 2.0 D MPV Diesel 02/2011 on FWD 16 131 96. CHEVROLET ORLANDO (J309) 2.0 D MPV Diesel 02/2011 on FWD 16 163 120. Function Outlet valve. CHEVROLET CRUZE (J300) 2.0 CDI Saloon Diesel 08/2010 on FWD 16 163 120. CHEVROLET AVEO 1.2 Camshaft Exhaust Side 2011 on A12XER AE. CHEVROLET AVEO Hatchback (T300) 1.2 Hatchback Petrol 03/2011 on FWD 16 86 63. Function Camshaft. CHEVROLET AVEO Hatchback (T300) 1.2 LPG Hatchback Petrol/Petroleum Gas (LPG) 11/2012 on FWD 16 86 63. Function Sensor, camshaft position. CHEVROLET SPARK (M300) 1.0 Hatchback Petrol 03/2010 on FWD 16 68 50. CHEVROLET SPARK (M300) 1.0 Hatchback Petrol 07/2010 on FWD 16 65 48. CHEVROLET SPARK (M300) 1.0 LPG Hatchback Petrol/Petroleum Gas (LPG) 03/2010 on FWD 16 68 50. Chevrolet Vauxhall Opel Exhaust Cast Camshaft 563 6057 A 12 XER A 14 XER Z 12 XEP. VAUXHALL ADAM, AGILA MkI, ASTRA MkV, CORSA MkIII. 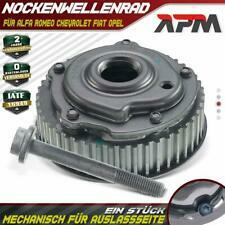 OPEL ADAM, AGILA, ASTRA G, ASTRA H, ASTRA J, CORSA D. 1 x Chill Cast Camshaft. CHEVROLET KALOS Hatchback (T250, T255) 1.2 Hatchback Petrol 04/2008 on FWD 16 84 62. CHEVROLET KALOS Hatchback (T250, T255) 1.2 LPG Hatchback Petrol/Petroleum Gas (LPG) 04/2008 on FWD 16 84 62. CHEVROLET KALOS Saloon (T250, T255) 1.2 Saloon Petrol 01/2008 on FWD 16 84 62. CHEVROLET MALIBU (V300) 2.4 Saloon Petrol 01/2012 on FWD 16 167 123. CHEVROLET 12578517, 12628347, 12646783, 12655420. Fitting Position: Intake Side. Engine Code: A24XF; Fitting Position: Intake Side. Petrol Engine Camshaft Locking Kit. Chevrolet Cruze 1.6 (2009-2012). Chevrolet Aveo 1.4 1.6 (2008-2011). between the camshaft pulleys to align the. 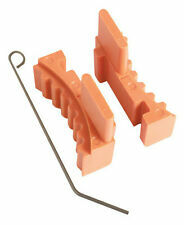 Two piece camshaft locking tool designed to fit. These engines have a lip on the camshaft pulley. Fits These Engine Codes: Z20DM, Z20DMH,Z20S. Captiva 2.0 VCDi (2007-2011) 05/08-10/11. Captiva 2.0 VCDi (2007-2011) 06/07-10/11. 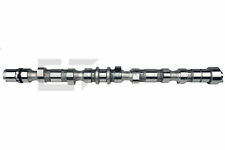 CAMSHAFT x 1 pc (OPEL OEM: 4805877 ;VAUXHALL OEM: 96440157 ). Fits Chevrolet Models. CHEVROLET 96325867. CHEVROLET KALOS 1.2 Hatchback Petrol 03/2005 on FWD 8 72 53. CHEVROLET KALOS Saloon 1.2 Saloon Petrol 03/2005 on FWD 8 72 53. DAEWOO KALOS (KLAS) 1.2 Hatchback Petrol 04/2003 on FWD 8 72 53. ET ENGINETEAM HV0332. Inhalt 1x Nockenwelle. OPEL ANTARA 2.0 CDTI. OPEL ANTARA 2.0 CDTI 4x4. VAUXHALL ANTARA (J26, H26) 2.0 CDTi. CHEVROLET CAPTIVA (C100, C140) 2.0 D. CHEVROLET CAPTIVA (C100, C140) 2.0 D 4WD. CHEVROLET HHR 2.4 MPV Petrol 10/2007 12/2011 FWD 16 170 125. 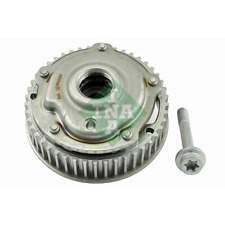 CHEVROLET 12578518, 12628348, 12646784, 12655421. Fitting Position: Outlet Side. Engine Code: A24XF; Fitting Position: Outlet Side. CHEVROLET MALIBU (V300) 2.4 Saloon Petrol 01/2012 on FWD 16 167 123.